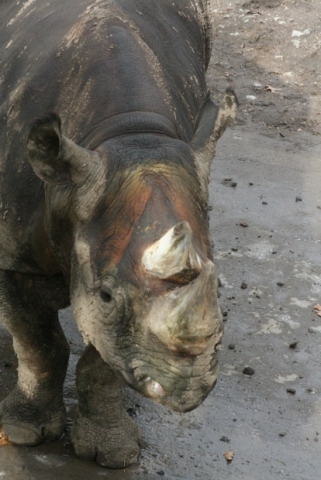 An educational rhino hand feeding program went horribly wrong on August 28th, when Mshindi the black rhinoceros accidentally bit one of her guest feeders! The woman who was feeding Mshindi at the Denver Zoo paid $60 to take part in one of the zoo’s “Animal Adventures,” where she had the chance to hand feed the endangered rhino hay, fruit, vegetables and other treats. Unfortunately, Mshindi clamped down on the guest’s finger, sending her to the hospital for treatment. The Denver Zoo had suspended the rhino feeding program, and has not released additional information about how the unlucky woman was recovering from the incident. 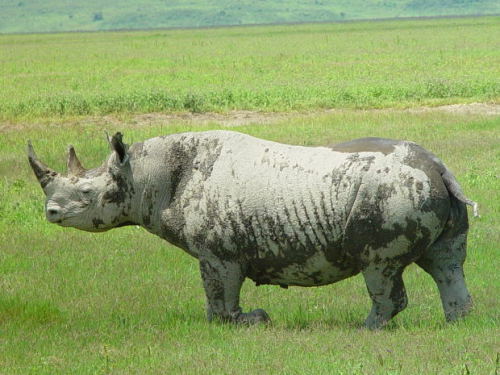 Although a rhinoceros really isn’t known for its bite strength, I’m sure that it hurt a whole bunch! In lighter rhino news, the first black rhino to be born in the United States since 1989 was birthed in Chicago’s Lincoln Park Zoo earlier this week. The unnamed baby will be kept away from park visitors for a few weeks as he needs some time to bond with Kapuki, his eight year old mother. A black rhino calf would normally live alongside its mother for at least three years before setting off on its own. Standing at four and a half to six feet tall, black rhinos are a solitary species with an estimated 5,000 individuals left in the wild. Black rhinos feed primarily on bushes and trees by using their prehensile lips to pluck tasty leaves and fruit from low-hanging branches. Why Snorkeling Is So Cool -- The Animal Video Of The Day!!! Port Na Blagh Dolphins! The Animal Video Of The Day!